“The root of this evil is not clericalism, whatever that might be, but rejection of the truth and moral licentiousness.” The full text of a homily given by Gerhard Cardinal Müller at the priestly ordination of Brother Michael Sulzenbacher. The following homily of the former Prefect for the Congregation of the Doctrine of the Faith Gerhard Cardinal Müller was given at the priestly ordination of Michael Sulzenbacher SJM in Rome at the church of Sant’Agnese in Agone on September 15, 2018. It is reprinted by kind permission of Cardinal Müller. Dear brother Michael Sulzenbacher, I marvel—humanly speaking—at your courage and—spiritually speaking—at your trust in God. In difficult times, you walk to the altar of consecration. With your adsum (“here I am”), you pronounce your readiness to offer your whole being and life as a sacrifice to God. This is the decisive “forking of the road” in your earthly pilgrimage and an hour of grace for the whole people of God. However, in urbe et orbi (“in the city and the world”), the Church, which is founded by God and is made up of humans, finds herself—on the human side—in a deep crisis with regard to her trustworthiness, a crisis for which humans are at fault. At this dramatic moment, we anticipate and dread the possible negative consequences of the scandals and failures in leadership. We think spontaneously of the sixteenth-century schism in German Christianity or the secularization of the spiritual life in the wake of the Enlightenment and the French Revolution. Today, too, just as then, there is much talk about reform. What is behind the glittering, media-friendly propaganda formula “reform of the Curia and of the whole Church” if it is not meant—as I ardently hope it is—as a renewal in the truth of revelation and of Christian discipleship? The true reform is not the secularization of the Church, but the sanctification of man for God. It is not reform but false doctrine to hold that although one can let the doctrine of the Church stand as it is, he must, for the sake of the weak, devise a new pastoral approach that cheapens the claims of the truth of God’s Word and of Christian morals. The redemption from sin establishes in truth that Jesus is the Son of God. Without the truth of the Incarnation, the Church would shrink into a mundane world improvement agency. It would have no bearing on our longing for God and the desire for eternal life. The priest would be merely the functionary of a socio-religious movement. The Church does not gain relevance and acceptance when she carries behind the world all the baggage of the current zeitgeist, but only when she, with the truth of Christ, carries the torch before the world. We must not puff ourselves up with secondary issues and work to accomplish the agenda of others who do not want to believe that God alone is the origin and unique goal of man and all creation. For the real danger for humanity today consists in the greenhouse gases of sin and the global warming of unbelief and of moral decay, when no one any longer knows or teaches the difference between good and evil. The best protector of the environment and friend of nature is he who proclaims the Good News that there is survival with God alone: not only a limited survival, for the near future, but an eternal one, forever. With the idea that Christian dogma is no longer the ground and criterion of morality and pastoral care, a christological heresy comes into view. It consists in setting Christ the teacher of divine truth and Christ the Good Shepherd in opposition to one another. 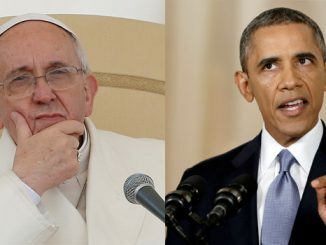 Christ, on the contrary, is one and the same person. Standing before Pilate, he was not silent but rather “made his good confession” (1 Tim 6:13) and “has borne witness to the truth” (Jn 5:33). Against the relativism of Pilate, which embodies the cynicism of worldly power, Jesus puts forth the saving power of God’s truth: “Yes, I am a king. For this I was born, and for this I have come into the world, to bear witness to the truth. Everyone who is of the truth hears my voice” (Jn 18:37). The one and the same Christ says of himself, “I am the way, and the truth, and the life” (Jn 14:6). He is also the Church’s bonus pastor personified when he reveals the mystery of his person and mission: “I am the good shepherd. The good shepherd lays down his life for the sheep” (Jn 10:11). To be a witness to the truth of Christ and servant of the Good Shepherd: this is the mystery and the origin of the sacramental priesthood in the Church of the new covenant. The unique high priesthood of “the great shepherd of the sheep” (Heb 13:20) excludes every way to God other than that through Jesus Christ, but it includes the sacramental and ecclesial realization of the once-for-all redemption worked by Christ, for Christ himself founded the service and the mission of the apostles. In Holy Ordinations, the apostolic authority and mission overflows to the bishops and priests. So in this hour, dear brother, St. Paul’s word to his co-apostle and follower Timothy applies to you: “Flee from false teaching, be a servant of the word, herald of the true faith and a contender for the truth of Christ. Thus will you take hold of the eternal life to which you have been called and for which you made the good confession in the presence of many witnesses”. These many witnesses today are all who are gathered here: your mother and your father—who passed on to you as first witnesses the faith in Christ, the “Savior of the world” (Jn 4:42)—with the grandparents, sisters and all relatives and friends, the confreres of your community, the many priests and deacons, and lastly also me. As bishop I have been bestowed with the authority of Christ to give you, through the laying of my hands and the prayer of consecration, a share in the authority and mission of the Messiah. Thus, in the person of Christ, of the head of the Church, with the power of the Holy Spirit, you are able to teach, lead, and sanctify the faithful, so that they reach a knowledge of the truth, love God above everything, and love their neighbor as themselves. He who looks upon those entrusted to him with the love of God and, in his spiritual ministry and Christ-like way of life, orients himself after the high priest whom he serves: such a man is the true pastor. The good shepherd distinguishes himself from the hireling because he loves men with the heart of Jesus and Mary and because he lays down his life for the flock. The apostle is “collaborator of God, servant of Christ, steward and dispenser of the mysteries of God” (1 Cor 4:1; 2 Cor 6:1). He is about one thing only: “knowing the fear of the Lord, to win men for Christ” (1 Cor 5:11). To him has the ministry of reconciliation been given for proclamation and sacramental transmission. And for this reason are ordained priests like the apostles “sent in Christ’s place, and God is making his appeal through them: be reconciled to God” (2 Cor 5:20). To be sure, he also stands among the ranks of the faithful, and along the way of his earthly pilgrimage, he—like all of us—needs grace for his spiritual ministry and God’s forgiveness for his sins and failings. However, the truth of faith that he proclaims and the salvation that he transmits in the sacraments does not, thank God, depend on the depth of his spirituality or the high morality of his conduct, but rather on the objective working of salvation in the sacraments. For Christ makes use of men, but he does not make himself dependent on them in his salvific action. For he alone is the “source of eternal salvation” (Heb 5:9). Though Christ was without sin, still all the faithful and their shepherds have need of forgiveness. The acknowledgement of our sins belongs in the confession booth. But when men consecrated to God—in cynical disdain for their calling—lead a double life, these acts belong before the spiritual tribunal. Evil acts must be condemned by ecclesiastical authority, the perpetrators punished according to law. Whoever holds penal law in the Church to be irreconcilable with the Gospel of love is acting not out of mercy, but out of disdain for the people who have been cheated of their rights and dignity. “Woe to the world for temptations to sin. For it is necessary that temptations come, but woe to the man by whom the temptation comes” (Mt 18:7). This holds true in a particular way for those who through the spiritual office have been set down as role models, typoi, for the faithful and have been strengthened with the Holy Spirit in their holy consecration. So, revered brother, before you receive this holy priestly ordination, I would like to remind you, and all of us, of the apostle Peter’s admonition to his fellow priests: “Tend the flock of God that is your charge, not by constraint but willingly, not for shameful gain but eagerly, not as domineering over those in your charge but being examples to the flock. And when the chief Shepherd is manifested you will obtain the unfading crown of glory” (1 Pt 5:2–4). And on the opposite end, all faithful should feel themselves responsible for their pastor when they read in the Letter to the Hebrews: “Remember your leaders, those who spoke to you the word of God; consider the outcome of their life, and imitate their faith. . . . Obey your leaders and submit to them; for they are keeping watch over your souls, as men who will have to give account. Let them do this joyfully, and not sadly, for that would be of no advantage to you. Pray for us” (Heb 13:7, 17f.). Dear brother Michael, we pray for the grace that you become a good priest after the heart of Jesus and his beloved mother Mary. So be it! Amen. 1 A History of the Council of Trent, vol. 1, translated by Dom Ernest Graf (Edinburgh: Thomas Nelson & Sons, 1957), p. 187. Original: Geschichte des Konzils von Trient, bd. 1 (Freiburg im Breisbau, Germany: 1949), p. 151. Classic Muller – Clarity! Thank you. This Homily together with his articles in First Things should be sent every Bishop worldwide for reflection. The People of God need to be warned that the Shepherds of Church are not called to be propagandist for the “current zeitgeist”, who have no faith in Jesus Christ and who have corrupted the world by its propagation of the “dictatorship of moral relativism”. May the grace of our Lord flowing through his Mothers Sorrowful Sacred and Immaculate Heart pierce the darkness of our minds and strengthen our convictions to follow Him, who alone is the Way, the Truth and the Life. Clarity, that’s the thing that brought me back to the Church. Nuanced ambiguity is not hoe Christ taught. “The root of this evil is not clericalism, whatever that might be, but rejection of the truth and moral licentiousness.” Muller paraphrases and contradicts a direct statement by Pope Francis. Good. We need more cardinals and bishops willing to do this. Oh my, what a fantastic homily. Required reading for all priests, bishops and the Pope. I wonder if this homily was not perhaps a subtle criticism of Pope Francis, and implying that the current abuse crisis is linked to loosening of doctrine and morals? More like the current crisis in leadership (or lack of it) is linked to the loosening of doctrine and morals. Why am I Catholic? Cardinal Muller’s essay tells it. Fine words. No action. Meaningless blather from one of the most powerful men in the Church. He goles no Office. He hoy the boot. You are parking up the wrong free. This homily certainly is not meaningless. It is full of meaning in that it was preached with the main intention of emboldening one newly ordained to his primary role in the imitation of Christ. The good Cardinal’s purpose here is not to solve the crisis but specifically to prepare a new priest to enter into ministry like Christ who entered into a hostile setting. It is true however that even a homily like this would be pointless without overseeing the living out of its principles. Paul, you say Cardinal Muller’s essay/homily is “fine words” but “no action.” With all respect to you, in my understanding words are actions. I come to CWR and other catholic sources for words. And what words I find! I downloaded Cardinal Muller’s homily so that I can come back to it and read it again and again. In imitation of Mary I will ‘keep his homily in my heart’ where I trust with all confidence it will work God’s will in God’s time. 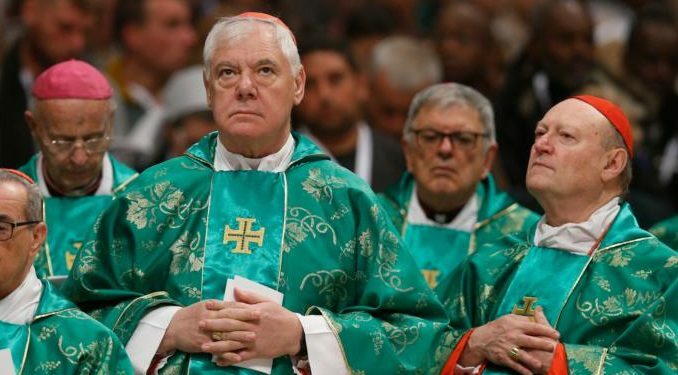 It is good to consider that Cardinal Muller’s ‘meaningless blather’ was uttered during a Mass – a Mass consisting mostly of words yet conferring two sacraments. Just words? Please share Cardinal Muller’s views with as many as possible ! Since October of 2017, at the end of Satan’s 100 years of extended reign, the Holy Spirit has indeed exposed many people in this last year, not only in the Church. But God will chastise his church first. Sister Agnes Sasagawa at Japan, in 1973 claimed that Mary said to her: “The work of the devil will infiltrate even into the Church in such a way that one will see cardinals opposing cardinals, bishops against bishops. The priests who venerate me will be scorned and opposed by their confreres… the Church will be full of those who accept compromises and the demon will press many priests and consecrated souls to leave the service of the Lord. The demon will be especially implacable against souls consecrated to God…” 1 Peter 4:17 states: “For the time is come that judgment must begin at the house of God: and if it first begins with us, what shall the end be of them that obey not the gospel of God?” A book and web site called, “After The Warning To 2038”, have many prophecies from credible, Catholic sources that are predicting many more future events. Playing checkers with himself is what drew the complaint of “only words”. What drew support was the open indication that the faithful have been cast adrift by “doctrinaire” prescriptions. The Bishop of Rome, nor any other Bishop, should feel free to act, or speak, as an ‘independent contractor’. This is the obscenity we’re presently suffering.